Russian President Vladimir Putin warned Thursday that the world is underestimating the threat of nuclear war and blamed the U.S. for risking a collapse in global arms controls. The U.S. is threatening to suspend a Cold War treaty limiting medium-range missiles because it says one of Russia’s weapons violates the agreement. During his annual marathon news conference Thursday, Putin insisted that Washington was to blame. 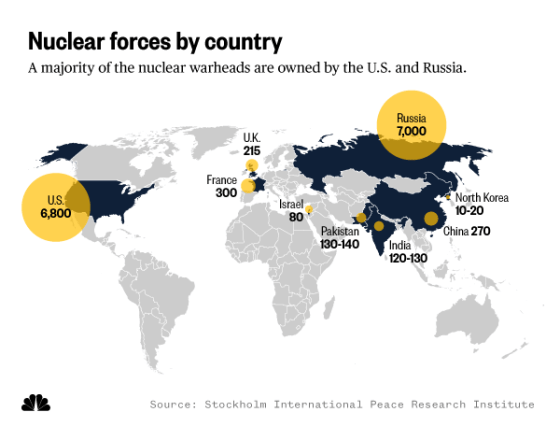 Most experts agree Russia has been violating the Intermediate-Range Nuclear Forces Treaty, signed in 1987 by President Ronald Reagan and Soviet leader Mikhail Gorbachev. However, many of those same analysts have criticized President Donald Trump for walking away from the INF Treaty. They argue that quitting it won’t bring Russia into line, and instead could trigger an arms race with ground-based nuclear missiles returning to Europe for the first time in decades. On Thursday, Putin also said there “have not been any negotiations” with the U.S. to extend New START, a separate treaty that caps arsenals of intercontinental ballistic missiles and other weapons. It expires in 2021. “Not interested? Don’t need it? Fine,” he said. Asked whether another meeting with Trump was in the works, Putin suggested the Democrats taking the House majority next month might make “direct dialogue with Russia” more difficult. “Almost with certainty, one can predict there will be new attacks on the current president,” he said. Putin added that it was “disrespectful” to American voters to try to delegitimize Trump’s 2016 election win. Some 1,700 journalists were accredited for the news conference that lasted more than four hours. The Russian president appeared to back Trump’s decision to pull American troops out of Syria — albeit with a sizable caveat. However, he also questioned the need for the U.S. military to be in the region. As part of a whistle-stop tour of the world’s problems, Putin was asked about France’s “yellow vest” protesters and suggested President Emmanuel Macron’s government was to blame for the crisis because they planned to hike gas prices. He said that Britain should “execute the will of the people” on Brexit rather than trying to wriggle out of leaving the European Union. The Russian president was also asked about the crisis in the Black Sea last month that saw Russian ships ram, shoot and seize three Ukrainian vessels attempting to pass through the contested Kerch Strait. 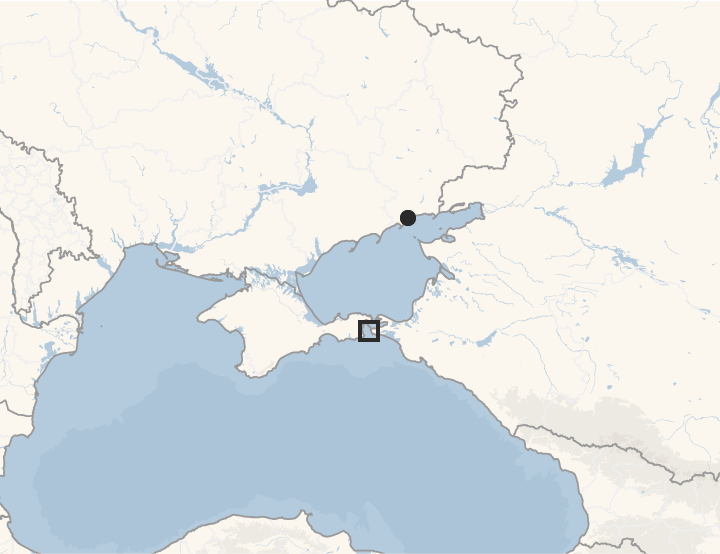 Russia and Ukraine share the Sea of Azov as part of a 2003 agreement. But after annexing Crimea in 2014, Moscow now controls the Kerch Strait, and with it access to Ukraine’s own ports. Putin reiterated Moscow’s previous claim that the incident was concocted by Ukraine as a “provocation” designed to boost the popularity of Ukrainian President Petro Poroshenko ahead of elections in March. Putin was also asked what will happen to the 24 detained Ukrainian sailors, who their government claims are prisoners of war and should be released. “There is an investigation. After the criminal case is over, we will see what happens,” Putin said. The Russian president also claimed double standards when it came to Sergei Skripal, the former spy allegedly poisoned by Russia on British soil, and Jamal Khashoggi, the Washington Post columnist who was murdered inside the Saudi Consulate in Istanbul. “Khashoggi was killed. It is obvious and recognized by everyone. Skripal, thank God, is alive,” Putin said. On Wednesday, the U.S. Treasury Department imposed a new round of sanctions on Russia in response to its “continued disregard for international norms,” which includes Moscow’s interference in 2016 U.S. election.